Kintore Self Catering Holiday cottage is situated in the village of Fort Augustus at the head of Loch Ness in the highlands of Scotland. The holiday cottage sleeps 4 in one double bedroom and one twin bedroom. 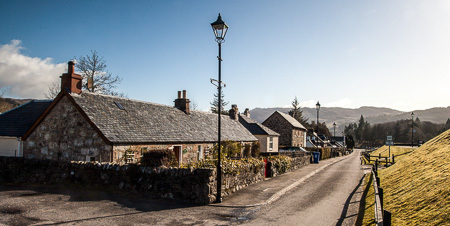 The cottage is located in the village by the Caledonian Canal, and within walking distance of shops, pubs and restaurants. 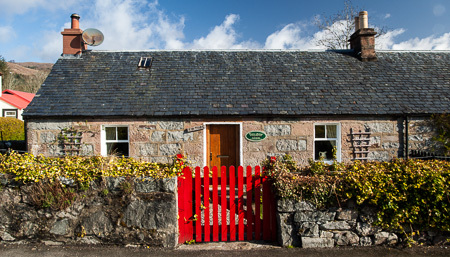 Kintore Self Catering Holiday Cottage is one of the traditional lock keepers cottages on the canal side built around 1830. Now completely renovated and extended, the holiday cottage offers comfortable self catering accommodation. Fort Augustus is an ideal location to explore the local and surrounding areas. 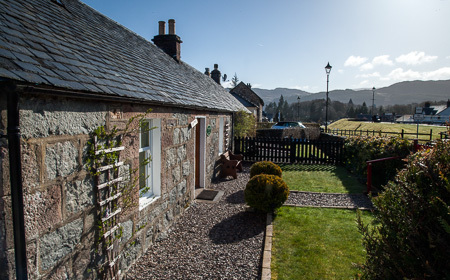 Kintore Self Catering cottage is situated in the village of Fort Augustus. Kintore holiday cottage has a small, safe, enclosed back garden with barbeque, and outside table & chairs. Car parking is at the rear within the garden. Electricity is paid by coin meter. There is a lovely atmosphere around the canal locks and Loch Ness and its a great pastime to just sit and watch what's going on. Holiday visitors find themselves in a prime location to enjoy watching the activities of the yachts and boats that make their way up and down the canal locks. Fort Augustus is located half way along the great glen. The highland city of Inverness is 32 miles North. The West coast town of Fort William is 32 miles to the South.